Signs: Outdoor Signage, Indoor Signs, Custom Signs, Coroplast signs. 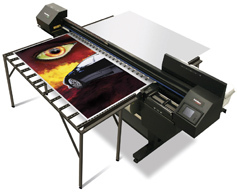 UV Print – Direct To Board Printing. Decals: window decals, Wall Decals, Boat Decals, Car Decals. Poster Print, Giant Poster Prints. Trade Show Displays, Exhibit, any size. We offer award-winning graphic design services to assist you in the quick and convenient production of attention-getting printed material. Just check out our portfolio showcase for featured works of banners, signs and so much more.